Photography by Fredrik Skogkvist and fashion by Robert Rydberg. White shirt by Dressman, headscarf by Dailyroutine and shirt by Johannes Adele. at rings by Fleischer Werner, silver ring by MM6, vest by Dries van Noten and leggings by Veronique Leroy. 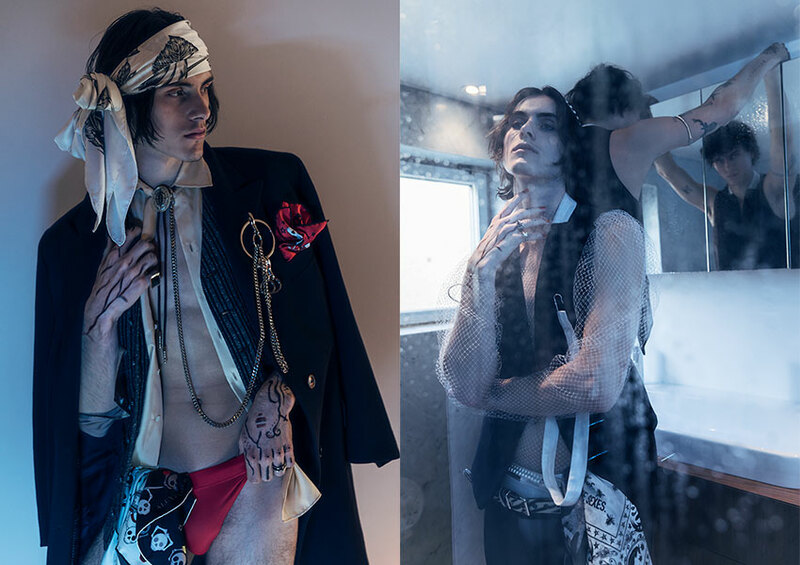 by Speedos, handkerchiefs by Alexander McQueen and necklace by Lutz Huelle, top by Joonas Karumaa, vest by Balmain, trousers by Dries van Noten and scarves by Christian Dior. 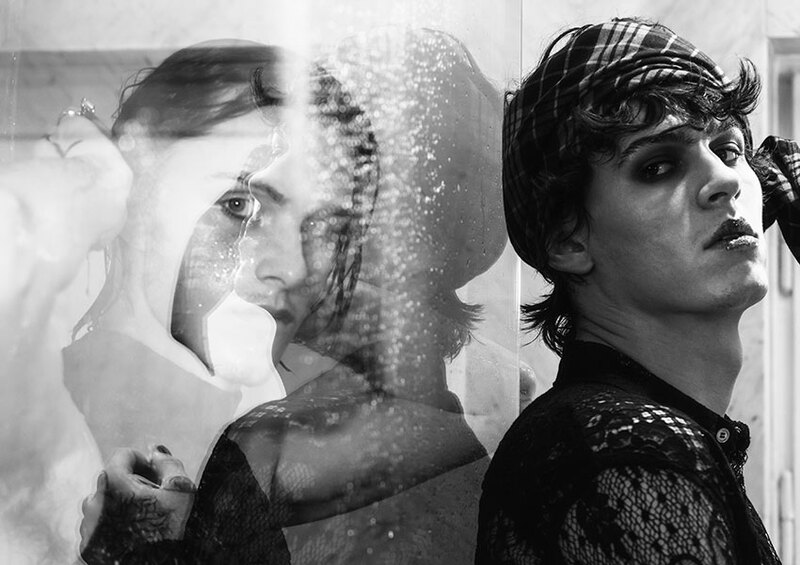 Photography by Fredrik Skogkvist and fashion by Robert Rydberg. Hair by Karolina Liedberg@Link Details, make up by Josefina Zarmén@Link Details, fashion assistance by Anna Sundelin and Martina Axtelius, casting by Johanna Ljunggren and modeling by Fredrik E and Joseph C@Nisch Management. Thanks to Detoxlife for catering. Creative info: Fredrik Skogkvist, Robert Rydberg, Karolina Liedberg and Josefina Zarmén.